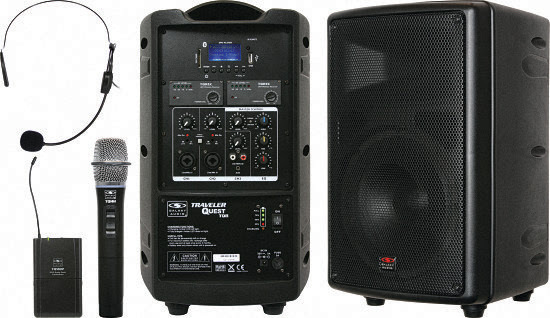 The new Traveler Quest 8 is the latest addition to our portable lightweight, “all-in-one” PA systems. The TQ8 runs on AC or battery power and comes standard with built-in batteries and charger. configurations. The body pack is available with headset mic or lav options.